Note sure what to get? Which fragrance? What is the texture like? 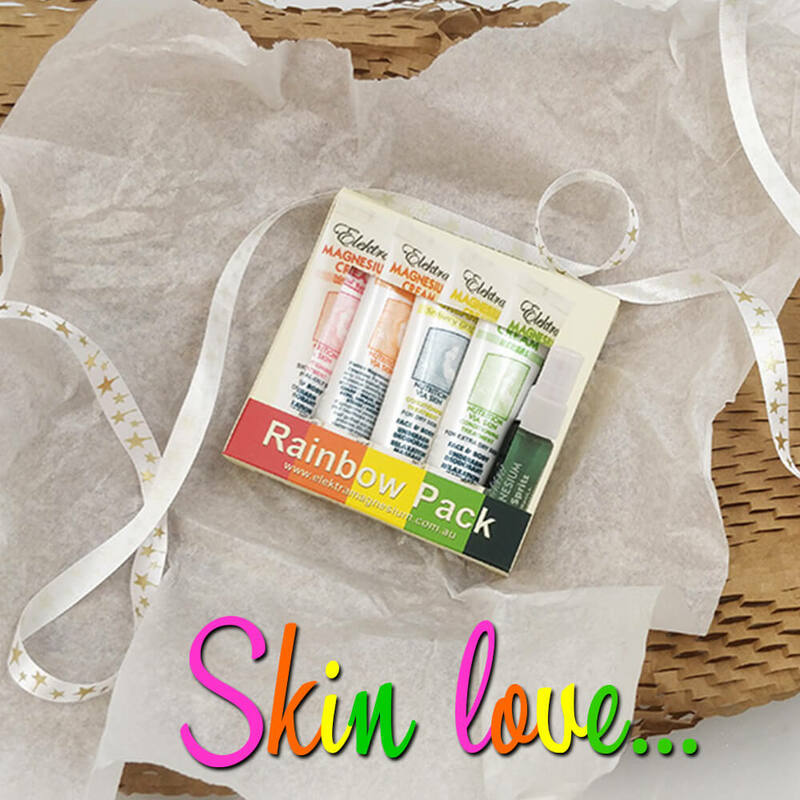 Try our gorgeous Rainbow Sampler Pack. FREE SHIPPING applies if you purchase one only Rainbow Pack. 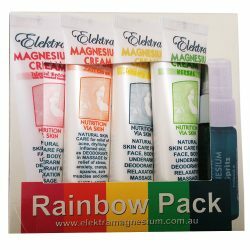 We are sure you will love this great sampler pack, and that you will be back for more Elektra Magnesium after you find your favourites! 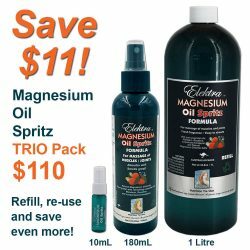 Pack contains one 20g tube of each kind of Magnesium Cream (Herbal, Sensory Gold, Zest-Citrus and Island Spice) plus a pocket size 10mL Magnesium Oil Spritz (which is refillable).